By my calculations, I have 4750 miles logged. Time for an oil change & filter. 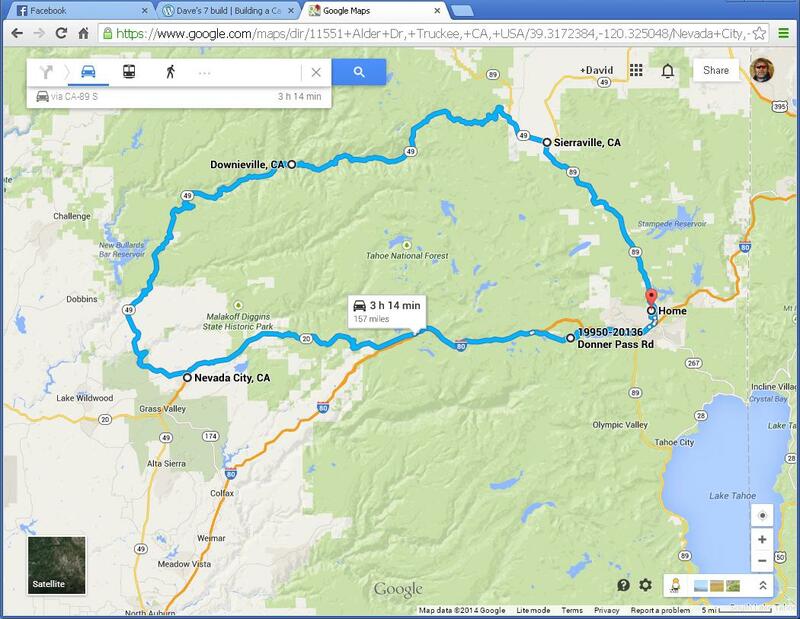 I did the Downieville loop, what a great driving road on Hwy 49! 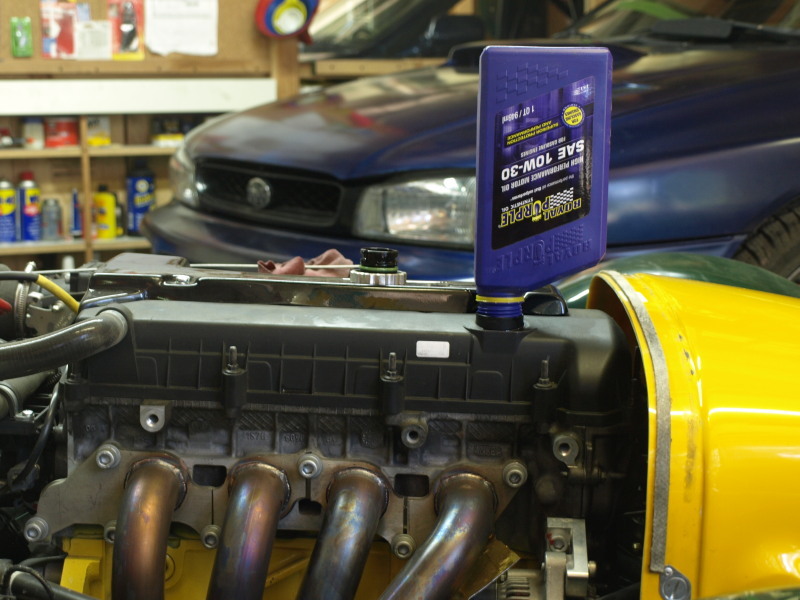 Post script 1: Before I took off the oil cooler blanking plate, the oil would lag behind the water temp by about 10 minutes. After 10 minutes both water and oil show temp as 90C. Now, without the blanking plate, the oil never gets to the water temp and continually lags behind by 5C at 85C. 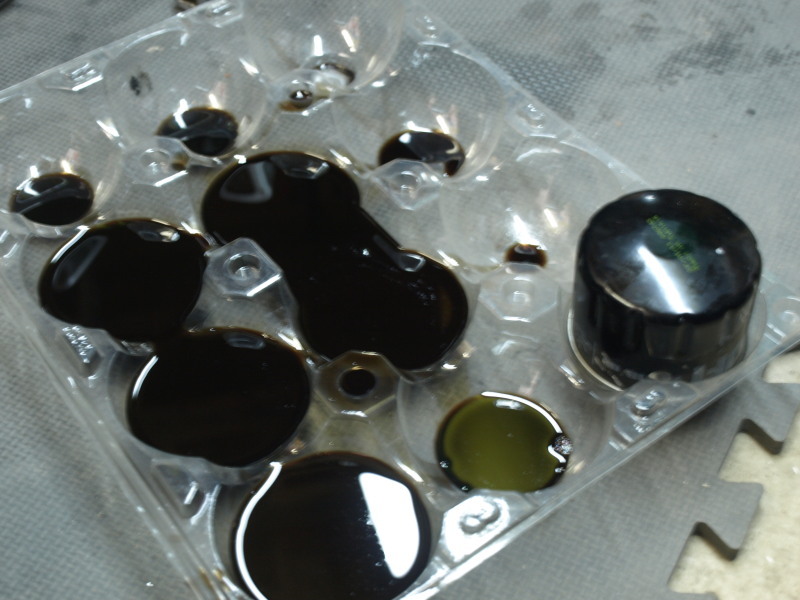 It also seemed longer than 10 minutes for the oil to come up to 85C, but I didn’t measure. Post script 2: The speedo behaved for about the first 30 miles, then started going erratic with 20-30 mph indicated (I was going faster). Later on it started going really haywire, registering 100-120mph (I was doing 50). Actually, I now use a Garmin GPS as my speedometer – it works very well! 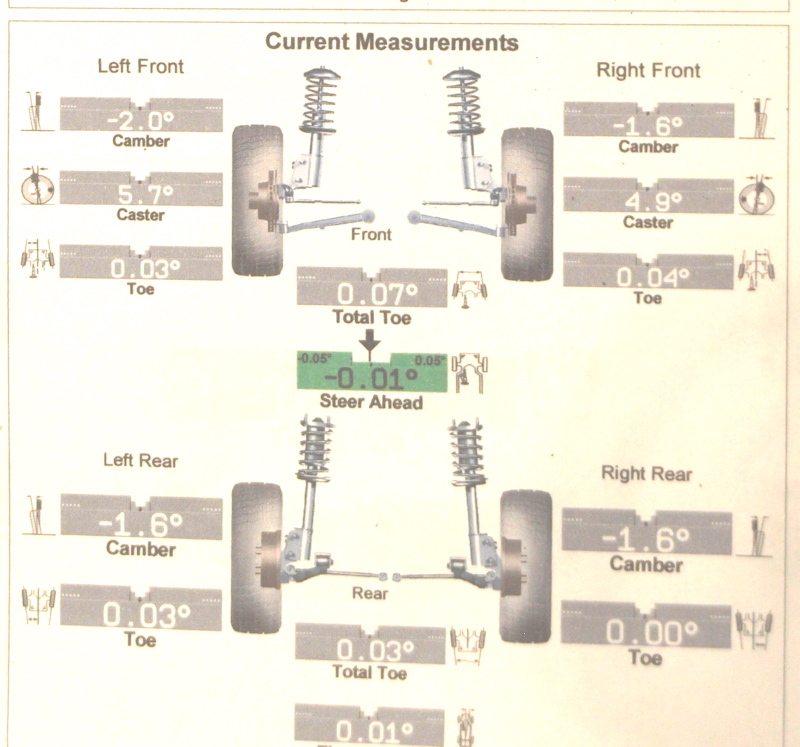 After getting the last alignment in March, I had not adjusted anything until today. As a reminder, here is the measurement sheet from Stone’s tires. Finished off by tightening front & rear bolts to 60 ft-lbs. I need to reduce the negative camber on the LHS to match better with the RHS. 1 turn should give a 0.25degree change, which should revise 2.o to 1.75 degrees. (Spec is 1 deg 20′ +-15′). The ball joint taper was really tight and took a while to get it free. Once undone, it was a simple job to screw out the ball joint by 1 turn and connect things back. Ball joint torque set at 40 ft-lbs. We had set this effectively to 0, however, it needs to have a small amount of toe-in. 1 turn = 0.35 degrees. I screwed in both sides by 3/4 turn which should give me about 0.24 degrees of toe-in on both sides. (spec is 0 deg 20′ +-10′). 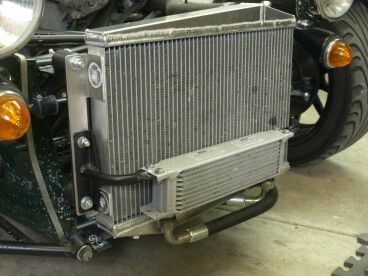 As its summer, I should take off the aluminum blocking panel from in front of the oil cooler. 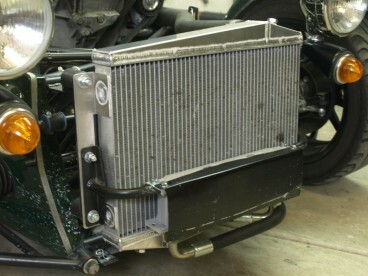 The first picture shows the black panel, held in place with 2 bolts. So, its a simple job to remove, as shown in the second picture. 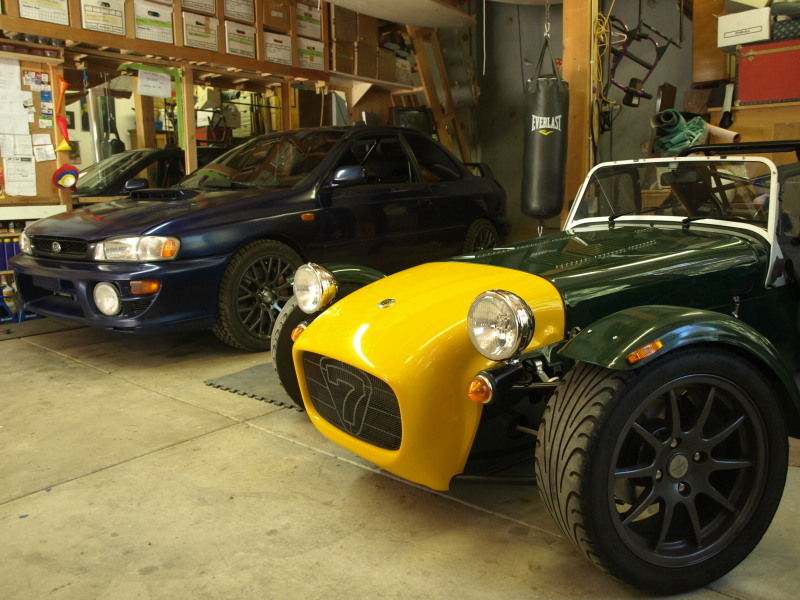 No updates from Caterham on the speedo, not that I’m surprized…layoffs/company for sale, Tony Fernandez bailing….lets see if the F1 team make it to Austria next week! 7 in front & Scooby at the back.